It worries me when I see how boys today show their love. They seem to have built their life around Facebook & Instagram. From the process of finding a girl, to talking to her up to coupling up with her seems to be done via social media. Call me old fashion because I think its crap. 1. Send her a bouquet. 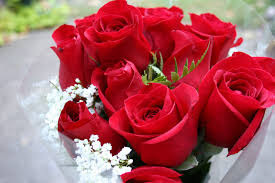 Stop sending her rose emoji on WhatsApp and start sending her a bouquet. No, not for her birthday or anniversary. You don't need a special occasion to do something nice for her. It is fine even if its a normal Wednesday afternoon, just call up a florist and have them send a bouquet to her. 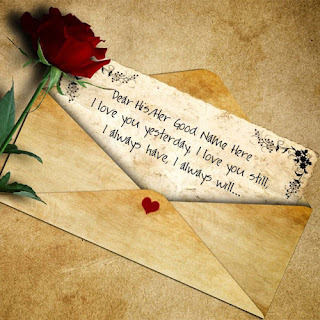 Write a nice beautiful message and have it sent to her. Try cooking for her. It is ok if you don't know how to cook. It doesn't need to be anything fancy or great. It is ok even if it doesn't taste good. If the effort that counts. Let it be a simple sandwich or fried rice, just give it a try. Cook something for her and take her out for a picnic or just dine at home and watch a movie with her. In fact the both of you could try cooking together a meal and that would spice up your relationship too. This is my personal favorite. You can write long WhatsApp messages or Facebook post but nothing beats a good old love letter. Go to a book store, get a nice beautiful paper and take the night to write her a beautiful love letter. Express how you feel for her, tell her why she is amazing & tell her how blessed you are to have her. Don't let bad handwriting stop you from doing it. Give it to her and tell her to read it once she is home. Trust me she will love you more after that. A love letter is such a beautiful and pure thing. It is not about writing to the world about how much you love her, but it is about writing to that one person and expressing why she means the world to you. Art is such a beautiful expression. Do it this for her.